Manchester United face an uphill task to qualify for the semi finals of the Champions League after going down by a single goal in the first leg of their quarter final against Barcelona. The La Liga champions were quick out of the blocks at Old Trafford and took an early lead when Lionel Messi escaped the home defence in the penalty area and crossed for Luis Suarez to head home off the arm of Luke Shaw. Messi was somewhat subdued after sustaining a facial injury in a challenge from Chris Smalling, but United never generated any significant threat and failed to register a shot on target in a Champions League game for the first time since 2005. 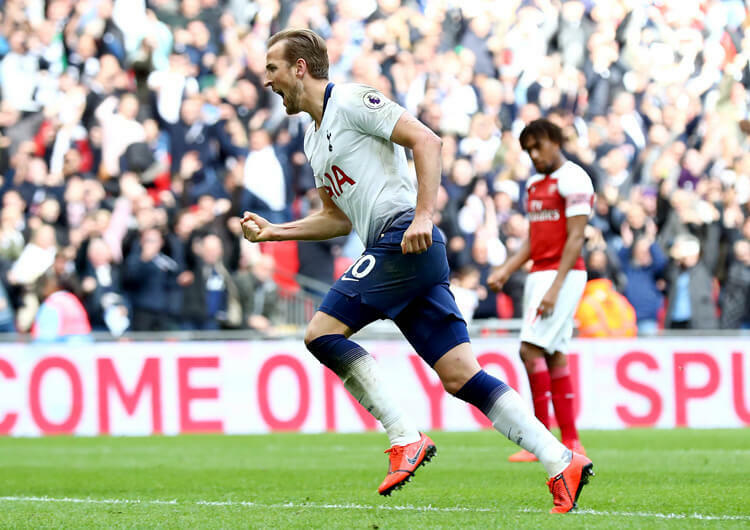 They will need to pull something special out of the bag in the Camp Nou next week if they are to make the last four for the first time in eight seasons. Ole Gunnar Solskjaer set Manchester United up in a 3-1-4-2 formation. 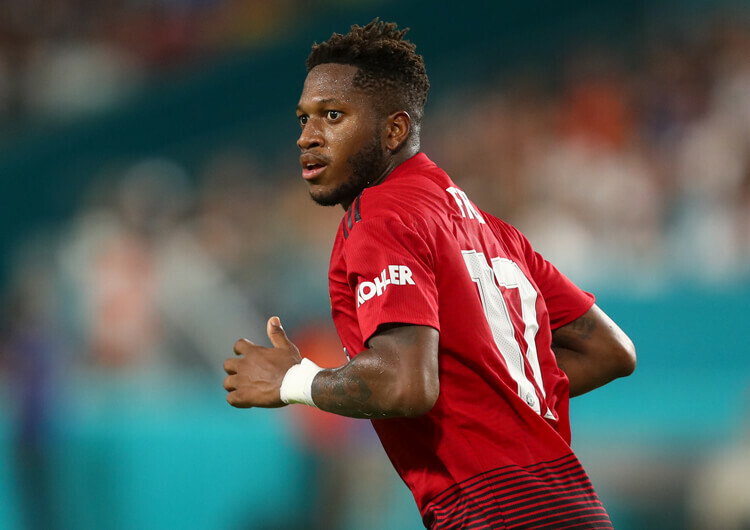 Fred operated between the defence and midfield, while Ashley Young and Diogo Dalot pushed forward to join Paul Pogba and Scott McTominay on the midfield line, with Marcus Rashford partnering Romelu Lukaku in attack.  The hosts had significant difficulty in possession, failing to register a single shot on target across the 90 minutes and lacking any real creativity or quality in the Barcelona half. They tried to play directly to Rashford and Lukaku when possible, but both found themselves isolated as they tended to drift wide and were closely marked by the Barcelona defensive line, rarely receiving with the possibility to turn. United’s outlets in possession were the wing-backs, Young and Dalot. Teammates would try to find them through quick switches of play and take advantage of the spaces between Barcelona’s wide attackers and full-backs. 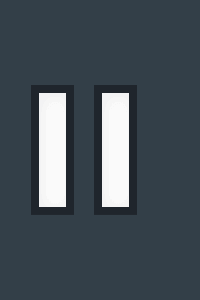 Unfortunately for the hosts, both Jordi Alba and Nelson Semedo were adept at defending wide, blocking off dangerous crossing lines and only allowing delivery inside. As such, the Barcelona defensive line were able to move out and attack the ball. Out of possession, United operated in a 5-3-2 structure in which Young and Dalot dropped alongside centre-backs Victor Lindelof, Chris Smalling and Luke Shaw. They sat in a compact low block on a number of occasions, and dealt with the challenge of Barcelona’s movement and rotation with a good level of organisation. 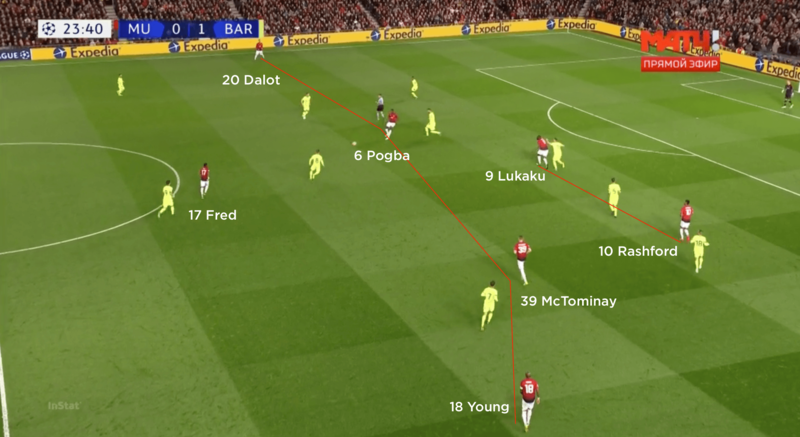 They particularly tried to show Barcelona wide; outside central midfielders McTominay and Pogba would then go and engage the full-backs when they received possession – although for Pogba that often meant Ivan Rakitic, who dropped in to a false full-back position while Semedo moved higher into the space left by the roaming Lionel Messi. Both McTominay and Pogba had to show intelligence and a high work rate in these situations; when the ball moved back inside, they had to identify where Rakitic and Arthur would be so they could affect them too. If the ball moved high and wide into Philippe Coutinho or Semedo, then Young and Dalot would engage and United would form a defensive triangle with wing-back, outside centre-back and outside central midfielder. On the left, Shaw was adept at tracking midfield runners as an outside centre-back, but not quite so alert at tracking the runs of Luis Suarez in these situations; the Uruguayan often operated on his blindside and made it difficult for Shaw to pick him up – exactly as happened in the build-up to the only goal of the night, when Shaw was initially dragged into his own area by the run of Messi. 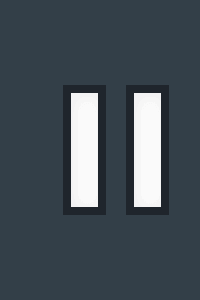 Manchester United set up in a 3-1-4-2 formation in possession. 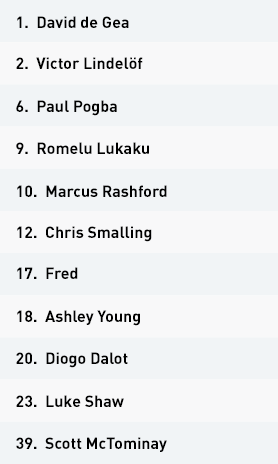 Fred sat in between the midfield and defensive lines, while wing-backs Ashley Young and Diogo Dalot pushed up alongside Paul Pogba and Scott McTominay in midfield. The wing-backs dropped back alongside their three centre-backs in a 5-3-2 out-of-possession shape. 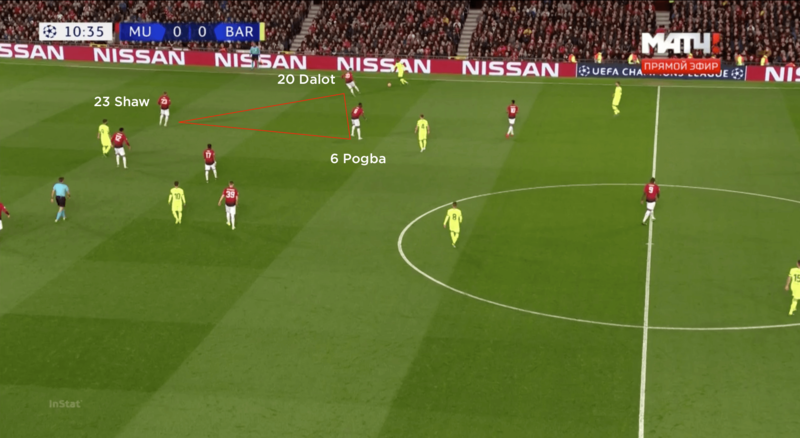 The hosts utilised defensive triangles in wide areas, where wing-back, outside centre-back and outside central midfielders – in this case Pogba, Dalot and Luke Shaw on the left – would combine to halt any Barcelona progress. In possession, the United wing-backs were their most consistent outlets. As a result, they often looked to quick switches to get Dalot and in this case Young free to advance. Barcelona set up in a 4-3-3 formation in possession. 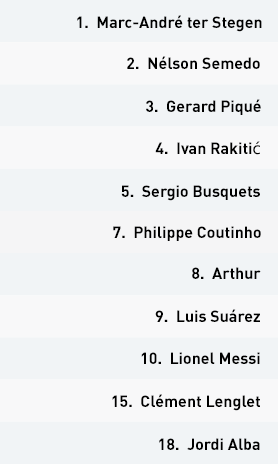 Sergio Busquets, Arthur and Ivan Rakitic operated as a midfield three behind a fluid front three of Lionel Messi, Philippe Coutinho and Luis Suarez. 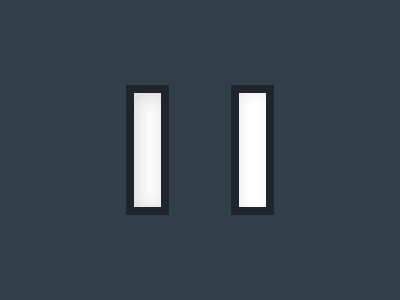 Out of possession, they often dropped into a 4-5-1/4-4-2 mid-block, with the variation coming in how close to the top line Messi positioned himself. Busquets regularly dropped between his two centre-backs to receive. This created space in central areas for Messi to drop and pick up the ball, which in turn allowed Nelson Semedo to advance into high areas from right-back. 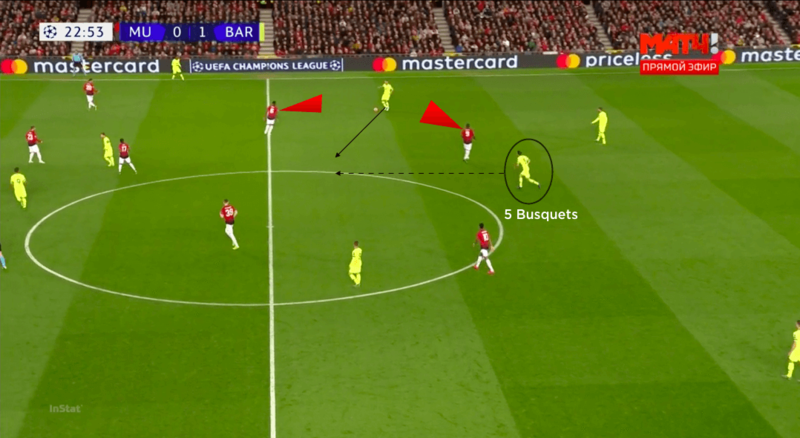 After passing, Busquets consistently moved on the blindside of the United front line to progress and make himself available to receive on the next line. Ernesto Valverde set Barcelona up in a 4-3-3 formation in possession. Sergio Busquets, Ivan Rakitic and Arthur were the midfield three, while Lionel Messi, Luis Suarez and Philippe Coutinho led the attacking line. When Barcelona had possession, right-back Nelson Semedo pushed high to provide the width on that side, allowing Messi to drift inside and receive in more central areas – while the positioning of Busquets between the two centre-backs created yet more space in midfield for Messi to move into. 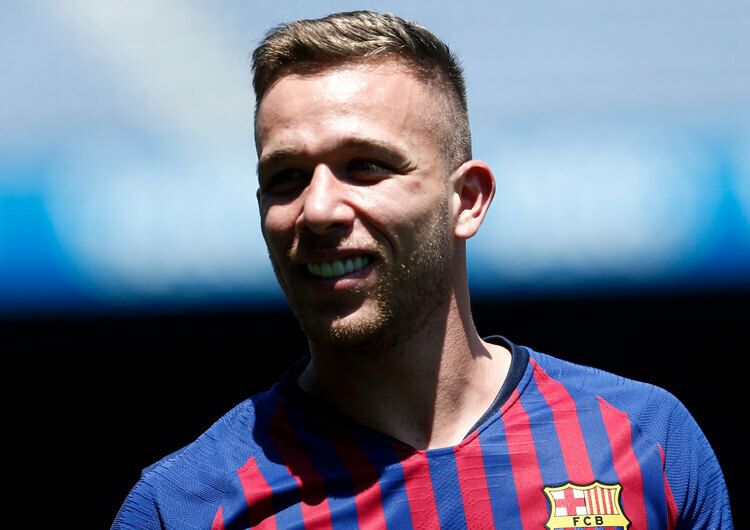 The Argentine would regularly drop deep in the first half and receive the ball in front of the United midfield, which would allow Rakitic and Arthur to move into wider positions and operate in the half-spaces. 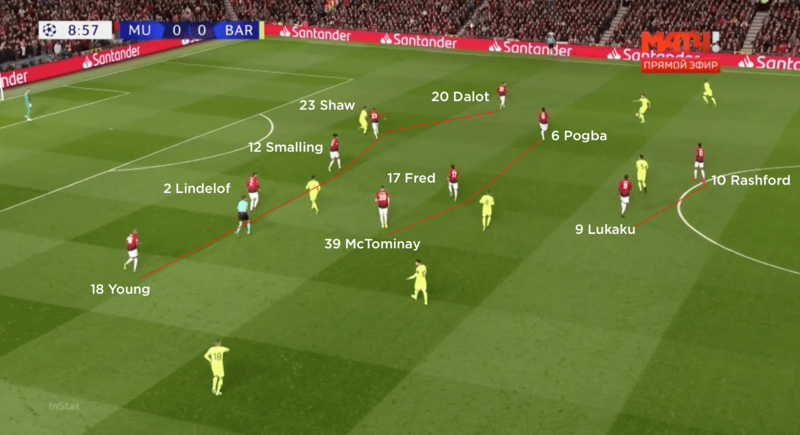 Messi’s roaming caused United plenty of problems; it was exactly this type of movement that led to Barcelona’s goal, as Messi moved Shaw around before running diagonally across the United back line at speed and receiving the ball behind the defence. During the build, Busquets would often drop in between Gerard Pique and Clement Lenglet, essentially creating a back three. After moving the ball out to one of his centre-backs, he would make a penetrative run on the blindside of the nearest midfielder and receive the next pass on the next line. When the visitors introduced Arturo Vidal and Sergi Roberto in the second half, the build-up was in more of a 3-1-4-2 shape. Either Busquets or Rakitic joined the defensive line, while the other sat in between the lines; Semedo and Jordi Alba would push on into wing-back positions outside Sergi Roberto and Vidal. 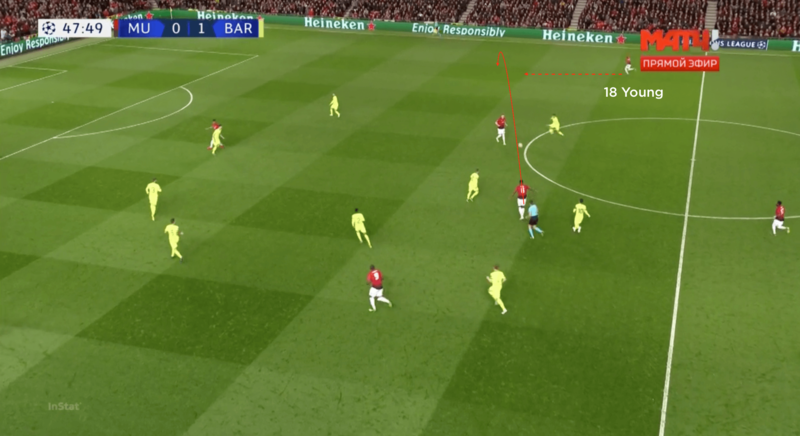 This worked to draw the United wing-backs out to their Barca counterparts, allowing Messi or Suarez to receive inside and go at the centre-backs. Out of possession, Barcelona regularly switched between a 4-3-3, 4-5-1 and 4-4-2. 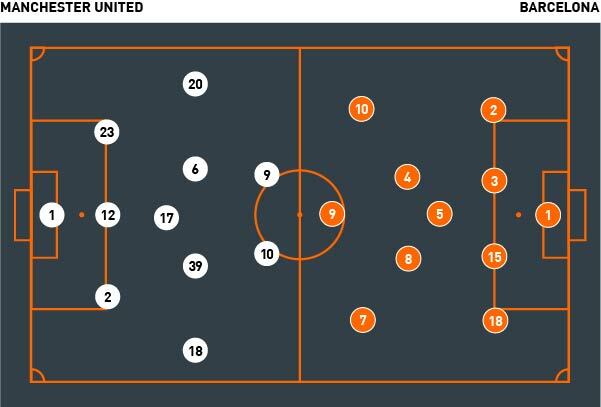 In the 4-3-3 structure they utilised a high press, with Coutinho, Messi and Suarez taking respective responsibility for Lindelof, Shaw and Smalling, and the midfielders behind them reacting according to which side United attempted to build on. 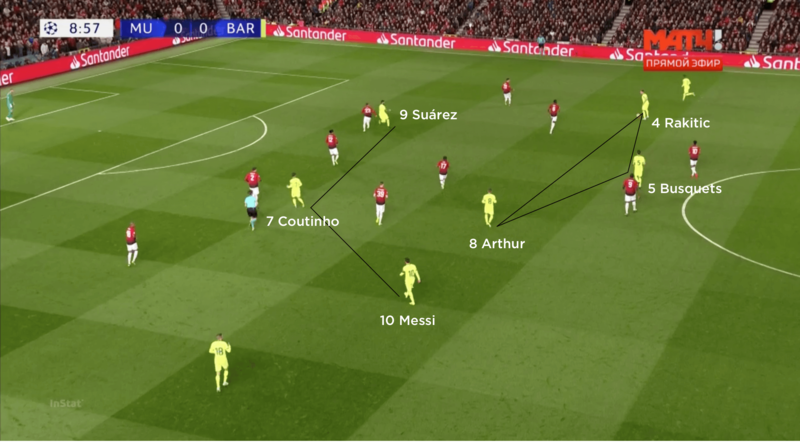 In their 4-4-2 mid-block, Suarez and Messi would apply only mild pressure to the United centre-backs, while Coutinho pressed Young and Rakitic pressed Dalot. Coutinho occasionally showed a lack of positional discipline and would move inside to press Fred, in which case United switched the ball out to Young – but Jordi Alba was alert enough to move out and prevent any danger. Lenglet and in particular Pique were dominant in the air, and prevented United from having any success with direct play or crosses into the box. As they look to hold off the challenge of Real Madrid and Atletico, is young Brazilian Arthur the natural successor to Andres Iniesta in the FC Barcelona midfield?